The Jim Ross Report Recap w/ Conrad Thompson - WrestleMania Weekend Analysis, Was 'Mania Main Event Botched? Practicing for AEW Commentary Debut, More! Ross is joined on today’s show by Conrad Thompson. Ross thought this year’s HOF ceremony was a good show, but he thought it lacked the build or excitement of previous years. Conrad notes that perhaps the lack of a single headlining inductee hurt the show. He points out that someone like Vader really deserves to be in the HOF and he hopes we see that in the years to come. Ross agrees entirely. He adds that Vader probably wouldn’t have been the headlining inductee anyways because McMahon tries to limit the amount of deceased inductees each year. In the end it’s a television show, and he likes having the show go off the air with a good speech from the headliner. Ross says he loved Vader, even though he could be difficult to handle sometimes. 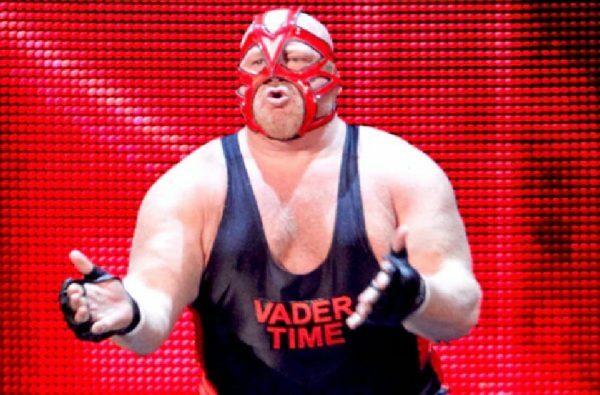 He can recall Shawn Michaels refusing to work with Vader at one point unless Vader washed his ring gear. Ross had to call Vader and tell him to wash his gear and that was an uncomfortable phone call. Ross thought it was a shame that Bret Hart was attacked during the Hall of Fame. Conrad agrees, and notes that some WWE wrestlers may be facing legal consequences for their punches during the scrum. Even though most people are probably happy the attacker got what he deserved, in today’s society someone’s probably going to have to write a cheque for those punches.